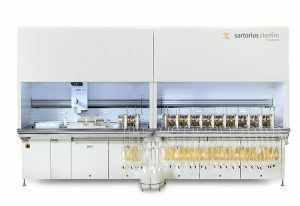 Sartorius Stedim Biotech (SSB) announced the launch of the ambr® 250 high throughput (ht) perfusion bioreactor. This is a new automated parallel bioreactor system specially designed for rapid cell culture perfusion process development to optimize production of therapeutic antibodies. Sartorius Stedim Biotech will be in Booth 407 at BPI West.